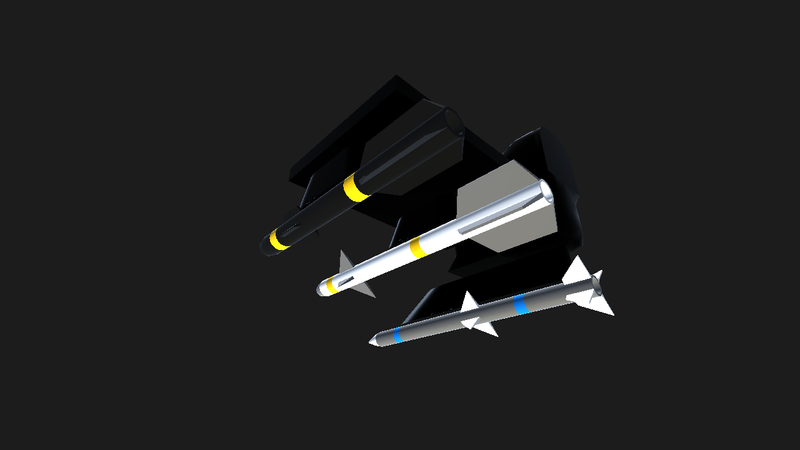 Rainier Aerospace presents these XML-modded default SP missiles. 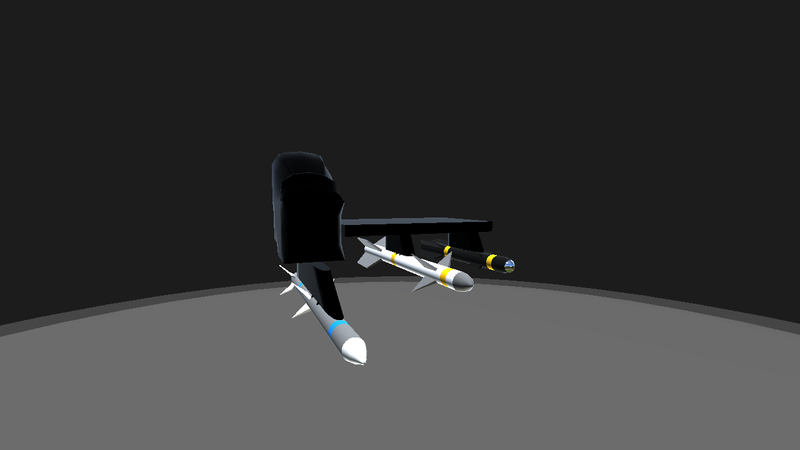 Each missile is XML-modded to behave like it's real-life counterpart. 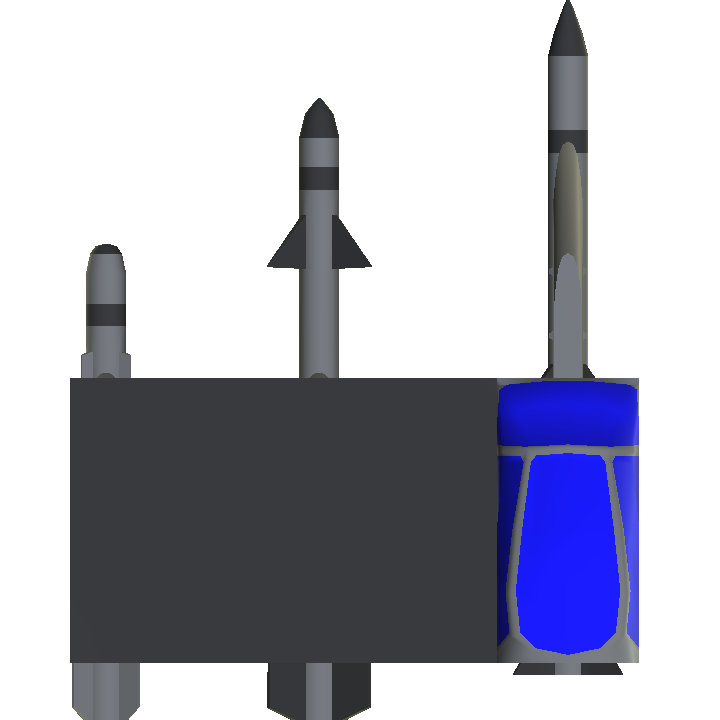 All missiles are greatly improved in range, speed, lock-time, lock-angle/boresight, and maneuverability. The Guardian/AIM-9X Sidewinder has a lock-angle/boresight of 90°, goes about Mach 2.5, and is highly maneuverable and adaptable to the target's every move, making this little snake very hard to shake off. The range is about 22 nautical miles. The Interceptor/AIM-120C AMRAAM is much faster than the AIM-9X with a top speed of Mach 4, and also boasts a powerful range of 65 nautical miles. However it's boresight is lower with 45° and it has a longer lock-time/acquisition of the target. The Inferno/AGM-114 Hellfire is the only A2G missile here but it's a major improvement compared to the original Inferno. The AGM-114 features a top speed of Mach 1.6, a range of about 5 miles, a lock-on-angle/boresight of 90°, and it's very maneuverable. You can save each missile as a sub-assembly for use on your aircraft, and I recommend these missiles over the default ones cause not only are they actually more realistic but they are also far superior. Since they are default SP missiles with only xml-modding, you don't need to credit me, but I would appreciate it if you credit the xml-modding to me. Anyways enjoy! Love these. They go great on my XR-45 replica. 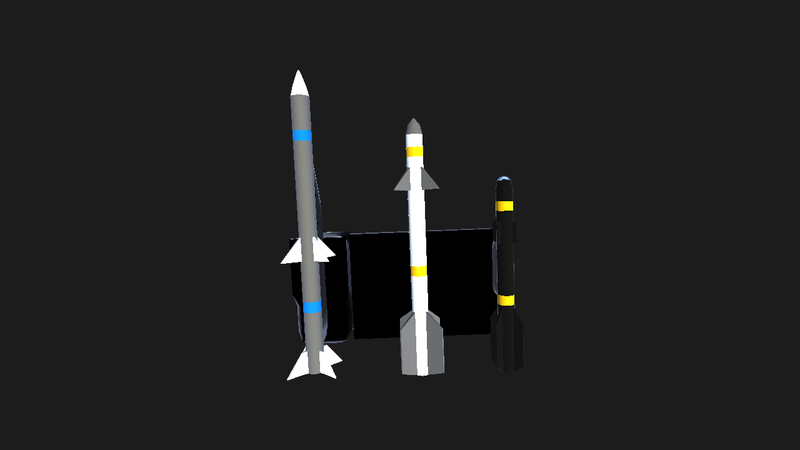 Yes I have been working on more weapon systems lately, although it's mainly been lasers and EMP/ECM related weapons and defense systems, but I do plan on making more missile systems. I love these! I use them all the time! 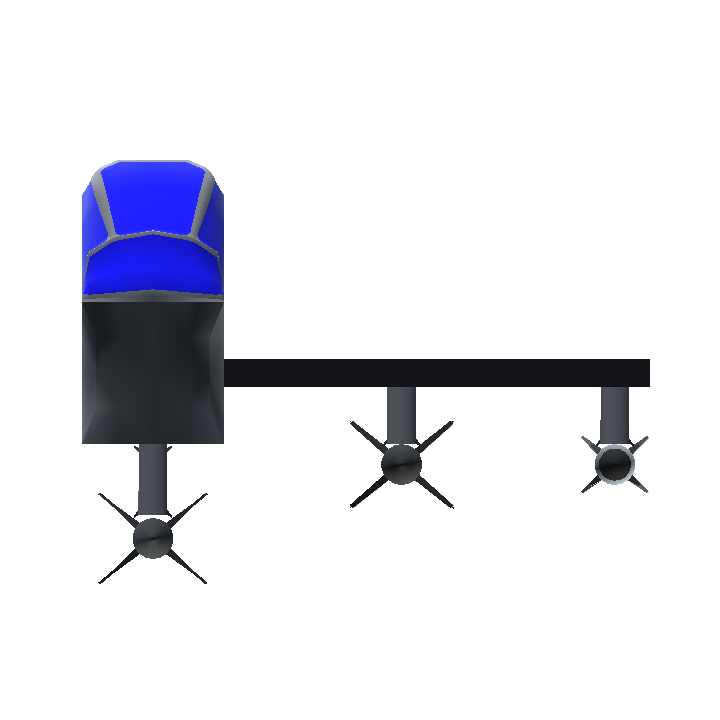 Do you think you can do other weapons as well like the rocket pods or cleavers? I've done a few things to it here and there but for the most part it's kind of still be worked on and kind of not, because I'm also now doing a tactical stealth bomber for Legnak's challenge and that challenge is due on Dec. 17 while the challenge for the F-36 is due on Dec. 30. 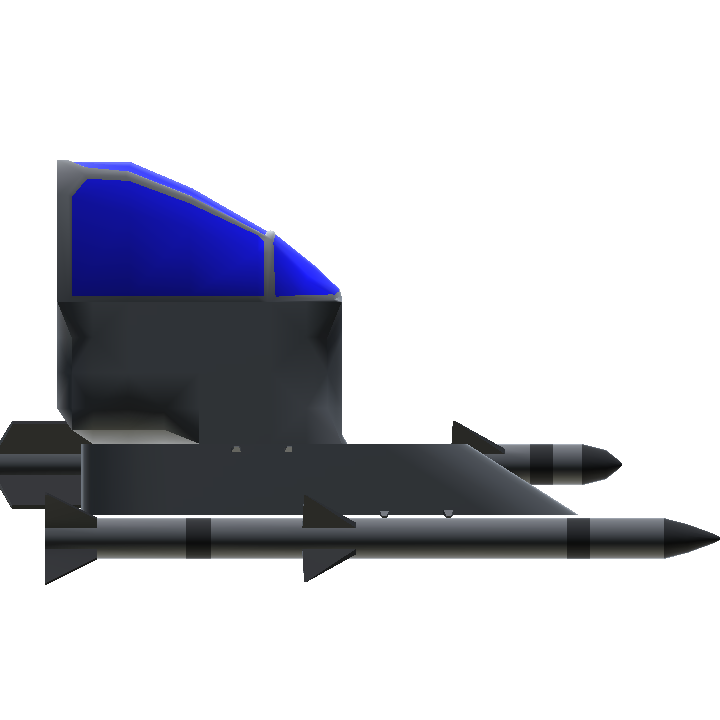 So I've been working more on the bomber recently due to the closer deadline than the F-36. Although recently I haven't gotten much progress on either birds. I've been a little busy with school lately. Thanks! I've been trying my hand at more custom weapons lately.